Blue Rhinestone Earrings by Arx Rosarum (Jyväskylä); Sapphire Engagement Ring and Diamond Snowflake Pendant by CaiSanni (Rauma); Blue Kanzashi Flower Crown by Norda Brilo (Helsinki); Blue Fabric Christmas Ornaments by hennihennidesign (Turku). For the other elements, see the original collage in Polyvore. Snow... It actually started to snow just when I began writing this post, if you can believe it. Finally! So beautiful. Clearly, the above tribute to Snow Queen must have played a part on it. I have assembled here some some seasonal items from the artisans of our team. Approaching December, we are stepping into winter. It is a time of intertwining extremes. It is going to be dark, silent and freezing, yet warm, social and cheerful. Enjoy the season! 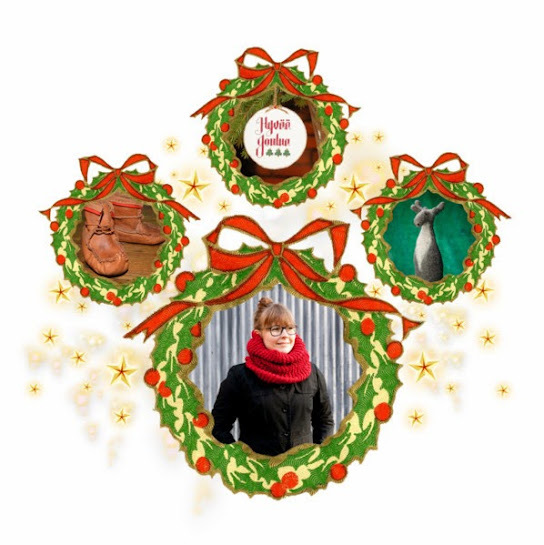 Reindeer Leather Shoes by Reindeer Arts (Kuusankoski); Cross Stitch Christmas Ornament by My Needle's Song (Eura); Felted Wine Cozy by EKODEKOFI; Red Chunky Cowl by Sofia Sobeide (Turku). 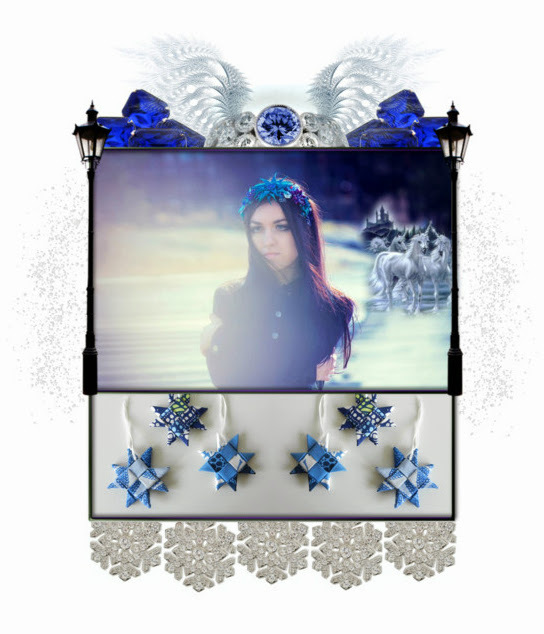 For the other elements, see the original collage in Polyvore. Looks like a beautiful winter! How true, with a cold winter also comes a warm Christmas! How to tackle a gray weekend?